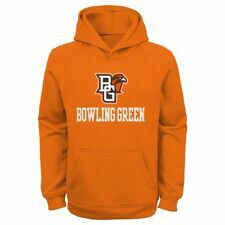 BOWLING GREEN, Ohio -- Tyree Jackson threw a touchdown pass and Buffalo ran in four scores to beat Bowling Green 44-14 on Friday to claim the Mid-American Conference East Division championship. The Bulls (10-2, 7-1) will face Northern Illinois in the conference title game on Nov. 30 at Detroit's Ford Field. The Bulls captured its second outright East Division championship and third overall; they won it in 2008 and tied in 2007. Buffalo rebounded from a 52-17 rout at Ohio on Nov. 14 to earn its tenth win, the most since joining the FBS era in 1999. Jackson's 37-yard scoring throw to George Rushing was his 25th TD pass of the season, tying Drew Willy (2008) for second most touchdown passes in a season at Buffalo. Patterson broke loose for a 40-yard score and an 11-yarder in the first half. He finished with 88 yards on 11 carries, and is 44 yards shy of Aaron Leeper's (2002) freshman record of 917 in a season. Marks bullied in both scores from short yardage, and had 63 yards rushing on 21 carries.